I woke up one morning last week with an idea. I realised that my Living Timefully Self Study programme could really benefit those facing life threatening conditions. Less than a week later, that idea has been realised. It is now available completely free of charge to anyone with a terminal illness – and people have signed up already and reported some amazing benefits. I’ve mentioned it to a few people and perhaps quite rightly they asked some questions of me, I thought my answers back were worth collating and sharing by way of this blog. Q1 : Why would someone who is ill want to spend any of their precious time taking a time management course? 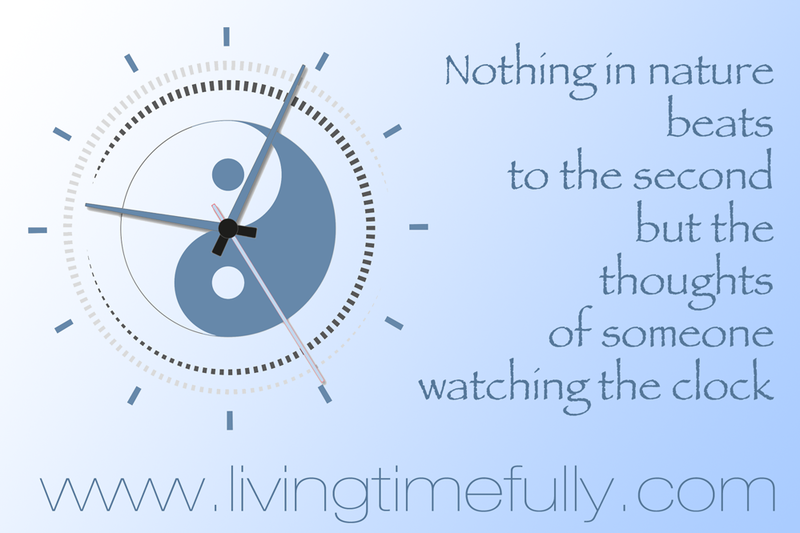 Living Timefully is unlike most time management programmes. It explores how we perceive time and how we can alter the speed of its passage. So, some people might want the clock to go quicker and some might want to slow it down. People who take the course will learn how to do both and take time under their control. Q2 : Does the course help with the healing process? When I developed the course, I did not have healing in mind. Yet people who have taken it report it’s made them less stressed and even cleared up headaches. As the course contains over four hours of meditations and visualisations, this perhaps is no surprise. It is well accepted now that meditation improves well being and increases vitality. So while the programme is not designed to heal per se, it will aid and assist with any conventional or alternative treatments being taken. Q3 : What does someone need to take the course? The course can be taken on any device with han Internet connection, like a laptop, tablet or smartphone. The exercises are best done with earphones on and for some you will need pen and paper. It even contains a guide on how to create Bucket Lists. Each week, over a 10 week period, an email will be sent to give access to the next set of ‘Timeful Tasks’ to complete. An hour or so of time a week is all that’s needed. This gift is a gift for lifetime so all modules will be accessible when needed should events mean a week gets missed out. Q4 : Why are you giving it away free? What’s the catch? Because I can and there is no catch. I want to give something back for all the blessings I have had bestowed on me. People who sign up will not be upsold to or encouraged to opt in to any sales schemes or scams. I take data privacy very seriously and the names of people on the programme will not be shared with any third parties. If people do benefit from the course and want to share their experience, I would appreciate testimonials but will use them anonymously. Q5 : How you get proof or check that people are suffering from a life-threatening illness? When people request access to the course, they won’t get instant access. I ask them to share a little about their condition. I will only block obvious scammers and spammers. Also, I have ways to ‘tune in’ and tell if people are genuine – the clues to how I do this are in Weeks 5 & 7 of the course. Q6 : How do people request access? Just go to www.livingtimefully.com and fill in the Request Access form. Q7 : What if I have a question not addressed here?